What a heavy topic! Cancer is a nasty thing. But when you add children into it I instantly want to cry. It’s heart breaking to think of a small child that is just beginning life to have to fight for their life. I See Me! feels the same way. 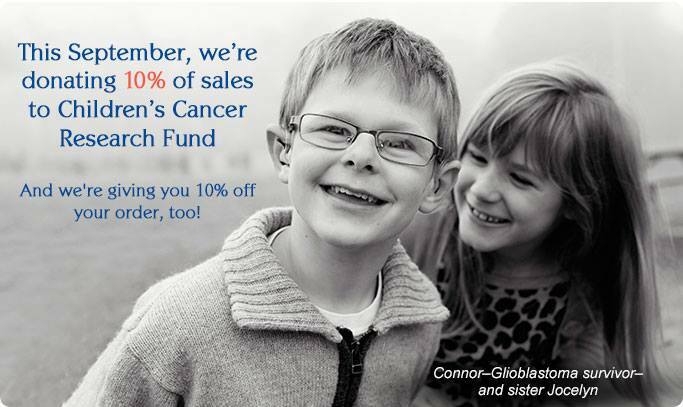 From now until September 30th 10% of all sales are being donated to help fight childhood cancer. The proceeds will be donated to the Children’s Cancer Research Fund. Also all customers will also receive 10% off their order. These are really amazing books. My daughter loves being able to read a book that has her name and likeness in it. The I See Me! collection has books for every occasion. You are sure to find at least one if not a ton of books you will want to purchase. So head over to I See Me! and look around. Pick out a title or two. Customize them. Then at check out put in code RESEARCH to receive 10% off your order and also have 10% of the sale donated to the Children’s Cancer Research Fund. Remember this offer is good till September 30, 2015.